Please welcome Jamie Duclos-Yourdon to The Qwillery as part of the 2016 Debut Author Challenge Interviews. Froelich's Ladder was published on August 9th by Forest Avenue. JDY: I began to write short stories when I was thirteen. I come from a family of voracious readers, and writing was my way of participating in a broader conversation. JDY: I’m a rigorous plotter (though I do love the term “pantser”). I gained an appreciation for act structure in a screenwriting course, in which I also learned that I’m a sucky screenwriter. JDY: The most challenging aspect about writing, for me, is cultivating patience. I write 300–350 words a day; at that pace, it feels like I’ll never accomplish anything. JDY: I’m most strongly influenced by the members of my writing group, The Guttery. We meet every Wednesday night, so I’m constantly being exposed to their work. They are a brilliant group of artists. TQ: Describe Froelich's Ladder in 140 characters or less. JDY: Curmudgeon lives atop a giant ladder until being abducted by a cloud and his estranged nephew is enlisted to find him. Plus bowling. TQ: Tell us something about Froelich's Ladder that is not found in the book description. 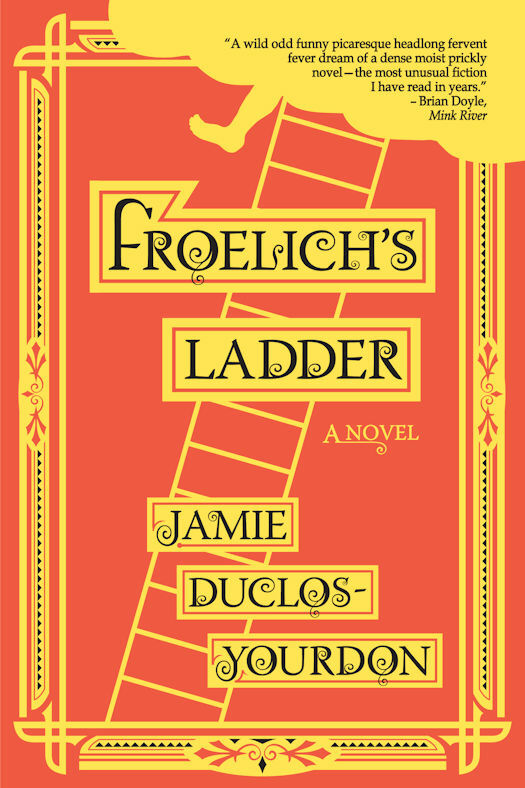 JDY: Froelich’s Ladder was conceived as a Shakespearean comedy, such that it culminates in a series of couplings. TQ: What inspired you to write Froelich's Ladder? 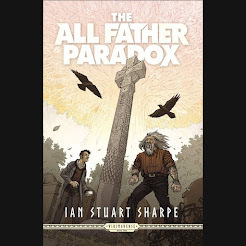 What appealed to you about writing what your publisher calls "...a fabulist adventure novel..."? JDY: Sometimes realism can feel like a joyless magic trick. “Is this your card? Good.” I was inspired to write Froelich’s Ladder because I wanted to create something fun—something that was ridiculous and exuberant. TQ: What sort of research did you do for Froelich's Ladder? JDY: I spent the most time researching Johnny Appleseed, because the details of his biography are ambiguous. But I also learned about the Naturalization Act, the Fourteenth Amendment, the Donation Land Act—basically, a bunch of arcane laws from the 1800s. TQ: In Froelich's Ladder who was the easiest character to write and why? The hardest and why? JDY: Josie and Uncle Frank were the most difficult characters to write, because I wanted to represent their (Scottish) accents in dialogue. Binx was the easiest character to write, probably because, in an early draft, he narrated the book from under the ladder. TQ: Which question about Froelich's Ladder do you wish someone would ask? Ask it and answer it! JDY: No one has asked how the characters got their names. I used to walk by the Froelick Art Gallery in downtown Portland; I lived on Harold Street; Binx was the name of a British guy who punched me in the face; Josie was the name of the girl who contributed to my getting punched in the face; Gak was a noise I made one time; Francis Meyers is a play on Fred Myers; and Gordy is a play on Yourdon. TQ: Give us one or two of your favorite non-spoilery quotes from Froelich's Ladder. JDY: “Indeed, it was for this reason that clouds were reluctant herbivores: not by choice, but of necessity.” My copy editor, whom I never met in person, wrote of this quotation, “This is the greatest sentence.” And, man, did I swoon. 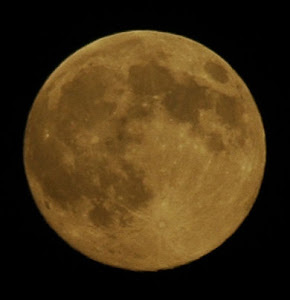 JDY: I’m currently at work on book-length Mesopotamian ghost story, with talking crows and people rising from the dead. JDY: Thank you! This was a lot of fun. 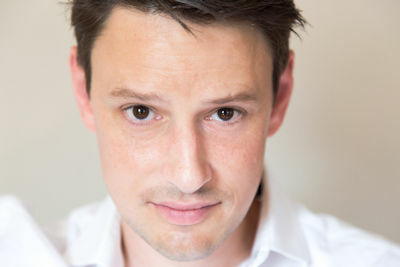 Jamie Duclos-Yourdon, a freelance editor and technical expert, received his MFA in Creative Writing from the University of Arizona. 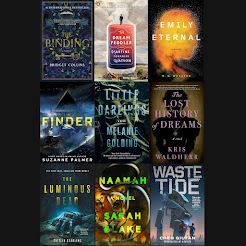 His short fiction has appeared in the Alaska Quarterly Review, Underneath the Juniper Tree, and Chicago Literati, and he has contributed essays and interviews to Booktrib. He lives in Portland, Oregon. 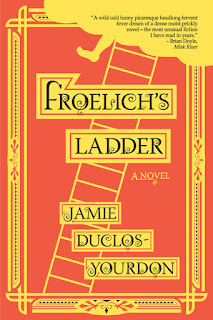 Froelich's Ladder (Forest Avenue, 2016) is his debut novel.